I remember the kiss. I remember the exact kiss, which came fully, passionately, in a tirade of kisses. The difference in this particular kiss was its shocking tenderness, its red-hot delicacy. I pulled back and gasped. In holy agony, somewhere between fear and elation, my husband begged for more. “Golly!” I thought. “Where did this come from?” But I knew. This kiss had been months in the making. Earlier that year, in pursuit of a professional certification, my man had been begun preparing for an intense immersion course that encompassed a vast amount of highly technical knowledge. The fact that those who passed the six-hour test had spent their entire education and career in the field, while he was relatively new to that body of knowledge, stacked the odds hugely against him. But, like biblical David, he eventually took his shot. The whole process filled me with ache and awe, truly something for a wife to behold: her man determined and magnificent. It was also heartrending to see the after-effects: the weight of the commitment, the pressure of investment, and the uncertainty of success doing their best to derail his hopes and dreams. I did all I could to distract and build him up as weeks passed without word of the results. And when he dropped his slingshot, I picked it up and tucked it back into his belt. Then, finally, months after taking the test—he burst into the room, breathless, shoving the screen of his smart phone in my face. There it was: the long-awaited email with his score. My man had slain his Goliath. I wrapped my arms around him and we actually cried—together. And it was together that we celebrated later that night; the night of my revelatory kiss, the one that left all the others behind. Then and there, the world opened up and I apprehended my husband. The realization sank deep. The plainness of it filled my soul. Its simple beauty turned me inside out. With one full-throttle kiss, my man had let down his defenses and exposed his raw, ravenous dependence on me. Just as surely as if he had sliced open his chest and handed me his heart, I knew in that moment that I held his every hope…his every hurt…his every opportunity. A protagonist only becomes a hero when he self-sacrifices. It’s how we define the archetype. Therefore, the story cannot really be about him. His impossible dream is only possible, only noble, only beautiful and worthwhile, if it was for someone else, and that someone had to be me. He wants to believe, and wants me to believe, that everything he does in this world is not just because of me, but also for me. My husband was offering me a reason, through his quest, to admire him, to desire him, to hold fast to him—sensing innately that I craved the kind of man I could respect. Gratifying this longing in his heart, receiving his quest as a gift, enlarges and emboldens him. Basically, I had inspired him. From that moment on, from that kiss, our relationship (which at one time was on the brink of annihilation), catapulted from good, to great, to grand—even though he never actually confirmed with words that I was like air and water to him. Instead, he gave me kisses—lots and lots of those over-the-top kisses, relieved beyond words that I finally understood that his why for living is the same as his why for loving. Inspiring wives are cherished by their husbands. 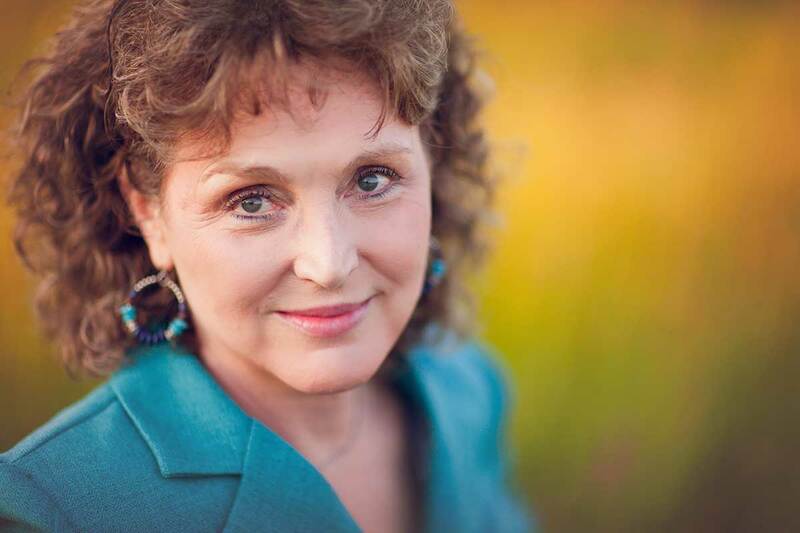 Watch Ramona Zabriskie’s on-demand webinar: YOUR POWER TO SUCCEED IN MARRIAGE: 2 1/2 hours of proven principles and remarkably effective strategies for overcoming differences, building intimacy, and creating the marriage of your dreams: absolutely FREE. Ramona Zabriskie, a wife of 41 years, is the multi-award winning author of Wife for Life: The Power to Succeed in Marriage and the celebrated marriage mentor and global educator of the 5-star WifeSavers Podcast, the WifeSavers Education Membership, and the acclaimed one-of-a-kind virtual school for women, Wife for Life University. 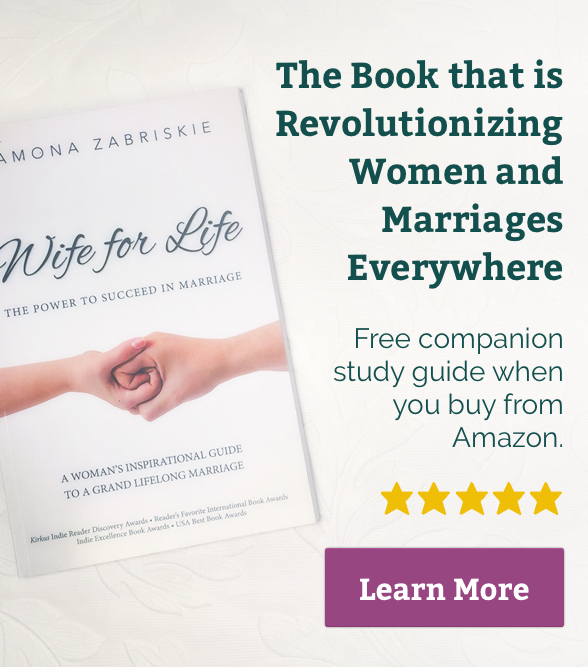 Turn your marriage around in a thrilling way with her new free ebook, 5 Lies We Tell Brides and 5 Truths That Save Wives. Heather, I couldn’t agree more. Our husbands should be comforting and soothing to us when they’re at their best! I call that being our “Castle” in Wife for Life. Loved your three secrets and loved even more your ‘big reveal!’ Well done Ramona. Thank you for sharing your thoughts today. I love this post…I needed a reminder that my husband needs me too. I need my husbands passion! He reminds me that I am not only a stay home mom of four, but also a woman. Oh Heather! I love that thought: “he reminds me that I am not only a…mom…but also a woman”. Boy! How true that is and how true it is that HE needs YOU to remind HIM of the best in his manhood! In fact, I realize now that’s what’s the 5th Wife for Life Law of Attraction, Admiration, is all about to him. Lisa, You are very blessed. I’m guessing your husband is so generous and caring in large part because you treat him that way (and you boys and his parents). Keep up the wonderful work! I like you on Facebook as Mary Carmen. I need my husband for life because he’s my best friend. He makes me laugh, listens to my complaints, and is my entire support system. Plus, he’s a great father to our 4 children. I shared the FB post (Mary Carmen) for 3 extra entries. This is so beautiful I had to read it twice! Oh Sheri! You’re making us smile – BIG! Do it. Wow! I’ve never thought about the hero’s story this way, and certainly not in regards to my husband. I’m learning so much this year already about my husband’s role, and it makes me admire him and want to support him even more. Thrilled to hear it Kelly! As I share with women everywhere, succeeding at marriage is not so much “hard work”, but UNDERSTANDING. Apply your heart to that (start here: http://ramonazabriskie.com/wife-for-life-101/) and you will be amazed at the results! Beautiful. I would like to become an inspiring wife. 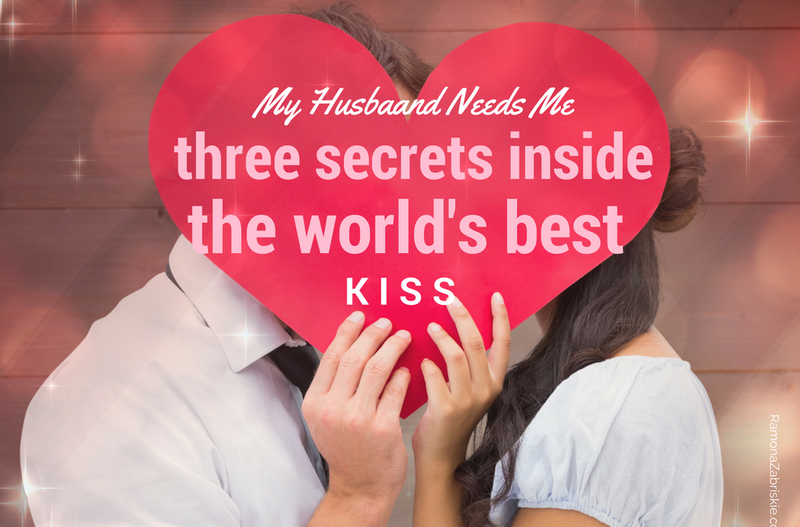 One reason that I need my husband-for-life is because he is my biggest comfort! Whether I am with him or away from him, he always manages to help me feel and realize that everything will be okay. We are still in the early stages of marriage, and I’ve been away for half of it, in a different state, for an internship. He has never once complained that I’m gone or made me feel guilty for taking the internship, although he often lets me know that he misses me and can’t wait for me to get back. The days when I feel discouraged and just want to come home to be with him he comforts me through text, or Skype, or a phone call and just lets me know that it’ll all be alright and that he’ll be there when I get back, and then we’ll continue making a life for ourselves together. I love him so much and sometimes I can’t believe that he is really mine, and I am his, and we are each other’s, forever. Our husband should be a biggest soother! That’s how I feel about my “Castle” too. I count on it daily. We too have had to be apart because of the nature of his work, nearly every week some years, and it’s a killer, but, as I teach in Wife for Life: The Power to Succeed in Marriage, Accommodating Accomplishment (and it goes both ways) is one of the Wife for Life Ten “A’s” that actually draws us closer together. Well done both of you! I need my husband because he is my partner in life. well, that is sad. i wrote a long response and it was erased…. this post really hit home for me, as my husband recently did not pass a test that he had studied for. we were both devastated- him because he was imbarrassed and felt like a failure, and me- because i felt responsible for not giving him enough support to succeed. he is not currently ready to try again, but i really hope that we can and will try again and conquer the goliath together. Because he knows the worst parts of me and loves me anyway. Because he knows when and why I need comfort without even asking. Because he grounds me when I am out of sorts. Because he lifts me up, he encourages the best parts of me and every wonderful thing I’ve ever done I’ve done w his encouragement. Beautiful AGrille! That’s what a husband is all about. You’re blessed! Wow! Such a beautiful moment! I could actually visualize everything, emotions and all! It sounds as if taken out of a fairy tale! I absolutely loved reading this! We need so much more stories like this one to build us up, since this world obsesses on pure fictional marriages that are not solid, but based on temporary feelings! Thank you, Ramona for all that you do to inspire us! This post, along with these great comments, leaves me teary! Thank goodness for the man in my life and for the principles in Wife for Life that have strengthened my relationship with him! Huzzah for W4L and Valentine’s day, too! I need my husband because we are there for each other through the hardest and best moments in our lives and when I am weak he picks me up. I can feel his need for me and I am working on making sure he knows how much I need him too! I need my husband for life. Not just for life, but I need him to live. He has been on a rough path for some time now and we are struggling emotionally and financially to get him through school. He is an older student with two children (and a wife!) at home and I need him every day. I need him to keep me above water and this post reminded me that he needs me to be the reason he finishes school and does his best in the process. I need my husband because he is home. As the card I gave him for Valentine’s Day says: “home is where you are”. Sums up my thoughts exactly! My husband is my protector (he stands up for me), and my “Mr. Fix-it”. So true! And to answer your question, I need my husband for life because we need each other! We were complete before we met, but once we met (at ages 29 and 30), we knew we had been brought together, and we were overjoyed! Life has its continuous ups and downs, but we are so in love, with a love that has deepened over 21 years of marriage and being blessed with six children. We are each other’s best friend and lover. Happy Valentine’s Day! I need my husband because he knows me really really well and he still likes me. We have so much fun together. I never thought of writing a story about a kiss!! This was wonderful! But I guess it was more than a kiss, it was an experience! One reason I need my husband for life is simply because he’s my best friend! He completes me. He dreams with me. And I love how he helps me realize all the good I am doing when I feel like I should do more or be more! He loves me for ME! I need my husband because of his will to push forward through hard things, no matter how difficult the struggle, when he knows it matters. It’s one of the things that helps me in turn be strong. Thank you for sharing from your heart about real life stories like this one. 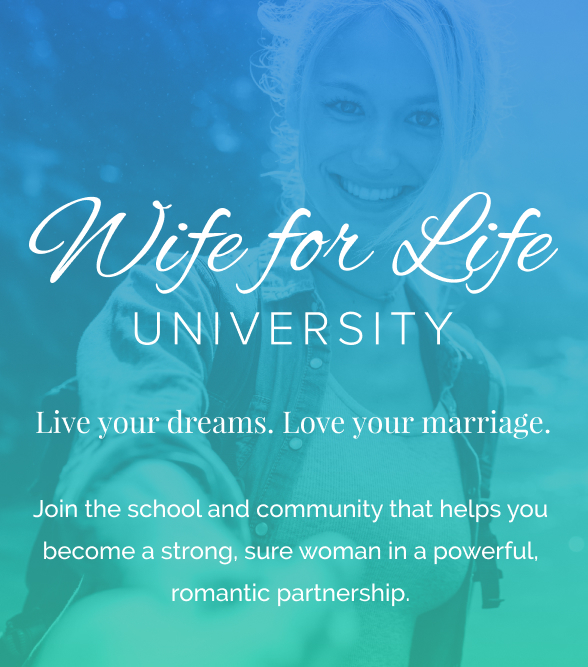 I’m just getting started on Wife For Life and I’m looking forward to understanding my husband better so that I can support him in the ways that he needs it most. We’ve both suffered the heartache of failed marriages before and are working on 6 years together in this “forever marriage”. Last summer I came close to losing my sweet husband due to a health issue and now I know how very much I need him for so many reasons. He makes me laugh, helps me find whatever I’ve lost when I’m late running out the door, puts up with my moods when I’m feeling overwhelmed and works so hard to keep us afloat. I love him dearly and can’t imagine my life without him! I need my husband for life because we need each other! We were complete before we met, but once we met (at ages 29 and 30), we knew we had been brought together, and we were overjoyed! Life has its continuous ups and downs, but we are so in love, with a love that has deepened over 21 years of marriage and being blessed with six children. We are each other’s best friend and lover. Happy Valentine’s Day! I can’t do it all alone and I don’t want to, its more enjoyable and productive for both of us together to figure out how to make it through this messy world supporting each other.